We provide more than menstrual hygiene products to those in need. We strive help to restore dignity to women who may be forced to choose between hygiene or food. Lacking the ability to purchase menstrual hygiene products can be debilitating because it can hinder the ability to attend work or school. For homeless women, the repercussions can go even further. Often, a homeless woman is limited to one set of clothing. When these items become damaged and stained, it can be both embarrassing and stigmatizing. Many young women are in similar situations. They are ashamed to ask and already financially-challenged family to cover additional costs and are often surprised to learn schools most often charge for menstrual hygiene products. What is a Period Pack? A Period Pack is a small package that contains a supply of products for one woman including tampons, pads, and wipes. These products serve women in shelters and living on the street. We also supply them to young women in local schools who cannot afford or access menstrual care as well as to women in need due to disasters such as hurricanes or fires. The Homeless Period Project has delivered over 240,000-period packs since we began our mission in 2015. Would you like to help us make a difference? Host a Period Party and create Period Packs with your friends and colleagues. It is a great way to share an experience, have fun together, and positively impact the lives of those in need. 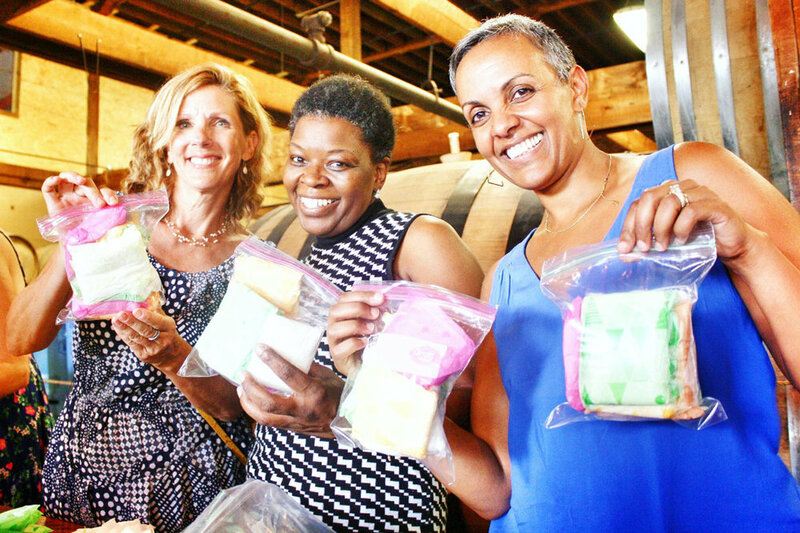 Period Packs: Three volunteers at a recent Period Party hold up Period Packs they have prepared for women and girls in need.